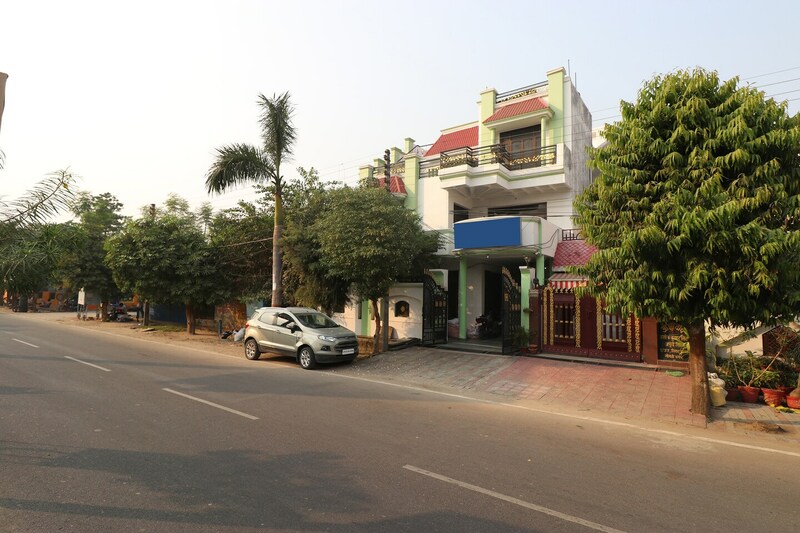 Luckys Inn is a fine accommodation for all types of guests located in Gomti Nagar. Rooms are well-maintained and bright. Comfortable wooden furniture in the room makes your stay pleasant and relaxing. Walls are painted in pastel colours with minimalist wall decor. Bathrooms are also well-equipped with basic necessities. Rooms are comfortable and equipped with basic amenities for your comfort. Guests can use the free Wi-Fi service provided here to stay connected with social media or work. Power backup facility is also available here for your convenience. Little Bunny Bakers Hub, Honey Buns, Kilo Bites, The Great Indian Kitchen and Midnight Meals are some of the restaurants located at a short distance from the hotel where guests can enjoy some delicious delicacies. Bhole Nath Mandir, Sunset View and Chattar Manzil are some attractions located near the hotel which can be explored by guests.